Keeping the security of iOS devices intact is the reason why Apple has this system error 53. iPhones and other iOS devices display error 53 in iTunes when they do not qualify in the security test right after an update or restore action is tried using iTunes on your computer. This security test has been crafted to ensure the Touch ID functions properly before the device is dispatched from the factory. So, a user commonly experiences this iPhone error 53 after he/she replaced the Home button/Touch ID fingerprint sensor by a third party, slightly dislodged or damaged the Home button, or replaced the iPhone screen. 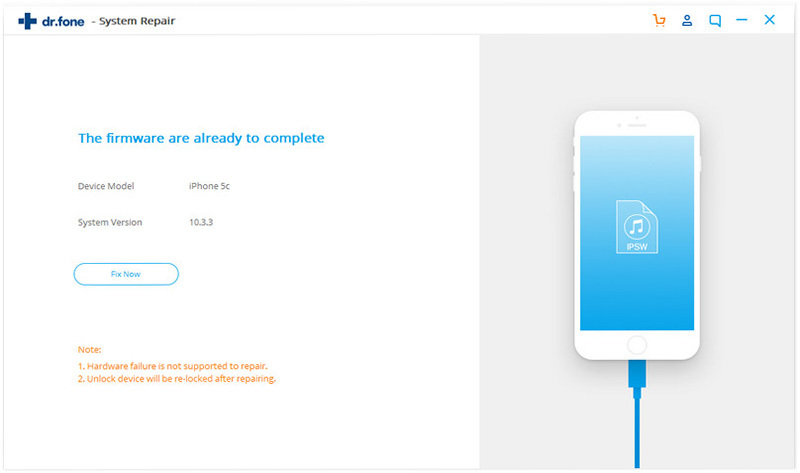 You can easily fix iPhone error 53 using a reliable third-party tool such as iSkysoft Toolbox - iOS System Recovery and protect your device from getting bricked. 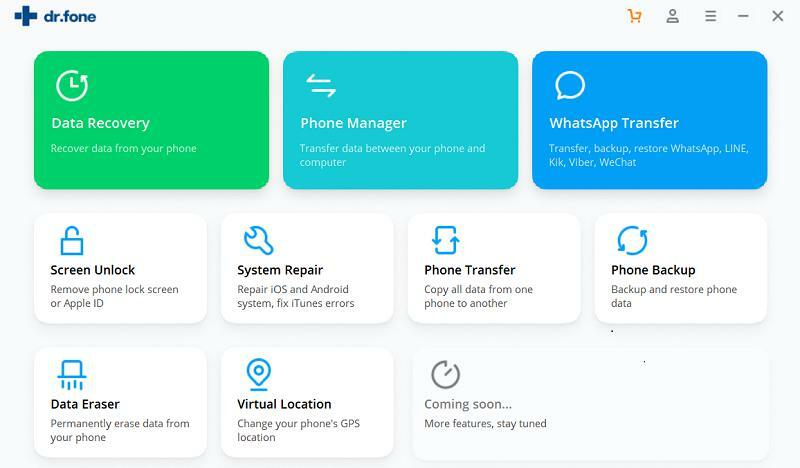 Post recovery with this tool, the device’s iOS gets updated to the latest version, un-jailbreaken devices become jailbroken, and unlocked devices are re-locked. Most importantly, it doesn’t cause any data loss while fixing the iPhone 53 error. Apart from resolving most iOS system issues like – device is trapped in DFU mode/frozen status/recovery mode/white Apple logo, it is also capable to fix error 53 in iTunes. It is Windows and macOS compatible. When the screen becomes unresponsive or turns blue/black/green, or the slider ceases to work and prevents you from unlocking/shutting down, it can fix the iPhone without losing any data. 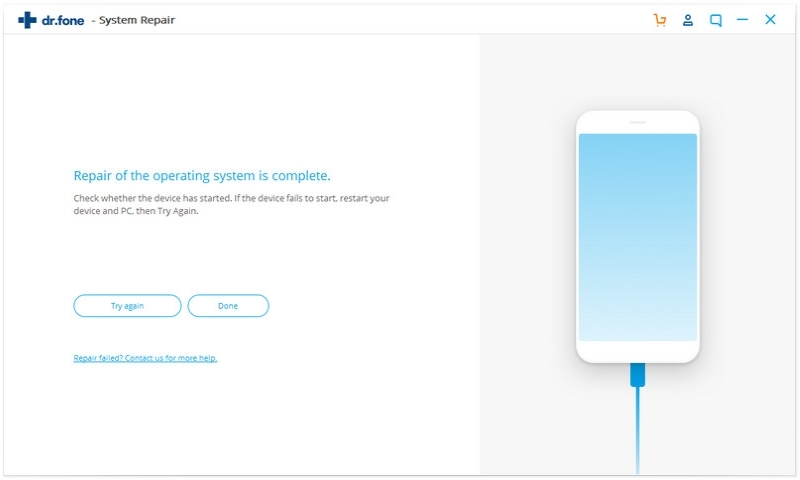 Let’s go through the step-by-step guide to understand how the toolbox works to resolve iPhone issues including system error 53. 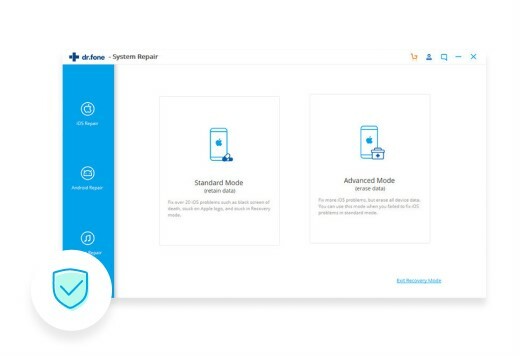 Depending on your computer (macOS/Windows system), download the appropriate iSkysoft Toolbox – iOS System Recovery software. Connect your iPhone and computer through a lighting USB cable. 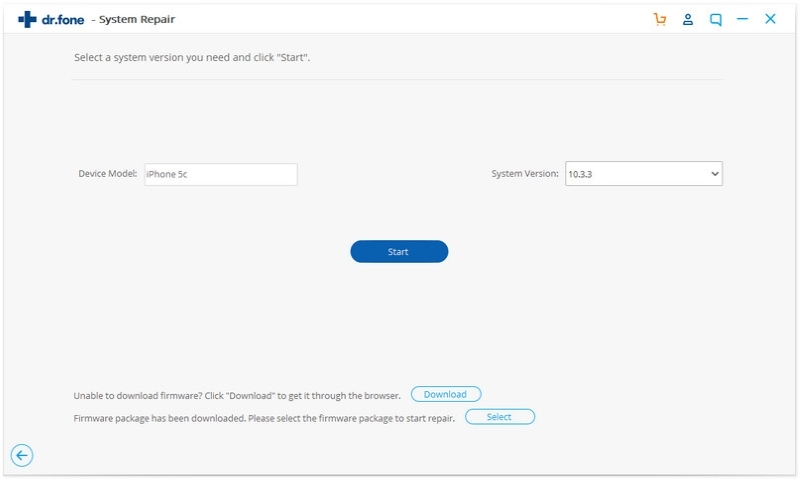 Launch the ‘iSkysoft Toolbox’ software and select ‘System Recovery’ from the main screen. Once the connection is successfully established click the ‘Start’ button to initiate the process. As the software recognizes the iPhone, it would recommend the latest firmware for your iPhone. Choose the appropriate device information and push ‘Download’. It will begin downloading the firmware. When the download is over, the software automatically initiates repairing your iOS device and takes it back to the original state. Besides iSkysoft Toolbox – iOS System Recovery, you might try the following options as well to fix iPhone error 53. There is no harm in knowing some extra tricks and tips to fix iPhone issue. Here are the steps for fixing error 53 in iTunes. You can overcome error 53 in iTunes by restoring your iPhone through iTunes. 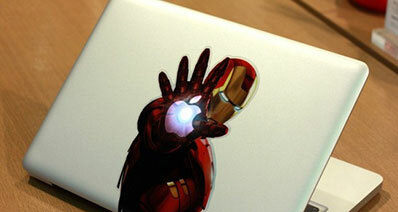 iTunes can fix all major software concerns for Apple devices at large. iOS 9.3 update by Apple handles error 53 and enables users to restore their iOS devices through iTunes on their computers without any snag. Follow these steps to restore your iPhone using iTunes and resolve iPhone error 53. Note: Quit iTunes on your PC and disconnect your iPhone in case it is connected to the computer already. Ensure that you have the latest version of iTunes. Now connect your iPhone and PC through a lighting USB cable and launch iTunes. Click the device icon on the top left corner. Now, get under the “Summary” section from left panel menu and then tap on “Restore iPhone” button. 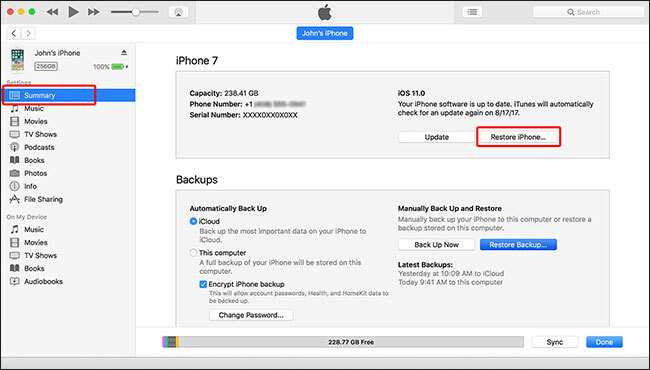 Confirm your actions and iTunes will initiate device restoration without wiping out the existing data. When the Hello screen is displayed on your iOS device, go along the onscreen instructions and set up your device. When you have old version of iTunes on your computer, your iPhone or iPad might face iPhone error 53. It is important to update the iTunes to the latest version and get the issue fixed. 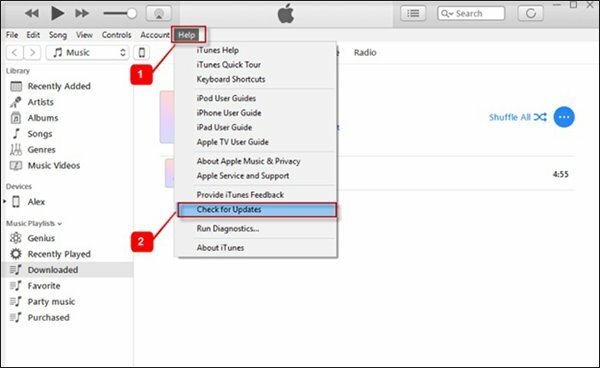 Here are the steps for updating iTunes to fix iPhone error 53. Select ‘Help’ from the menu bar after launching ‘iTunes’. 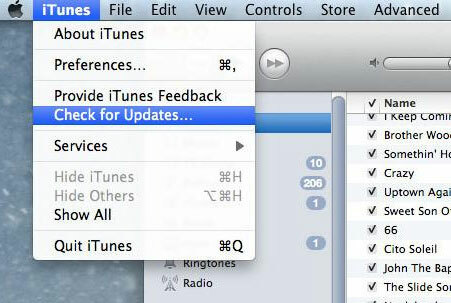 Select ‘Check for Updates’ to ensure you have the updated version of iTunes. Go through the on-screen instructions and update the latest version of ‘iTunes’ on your computer. Launch iTunes and choose ‘ITunes’ from the menu bar. Tap on ‘Check for Updates’ to ensure there is any update available or not. iPhone error like error 53 might crop up, when your recycle bin/trash bin on your computer is full as it might interrupt iTunes. Let’s empty the trash step-by-step so that you can fix iPhone error 53. 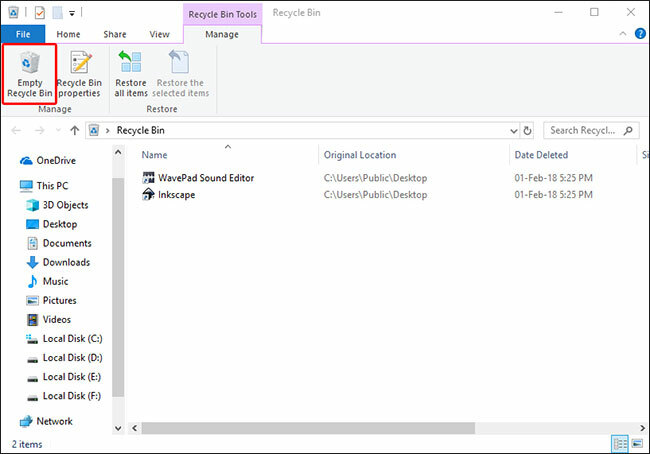 Open the ‘Recycle Bin’ on your desktop (Double tap/right click and ‘Open’). You will see ‘Empty Recycle Bin’ just below the ‘File’ option. Hit on that. It will prompt you with a popup message to confirm if you want to delete the files permanently. Click ‘Yes’ and let the garbage get cleared from your PC. Go to the launch pad and open ‘Trash’. Click on ‘Finder’ option and from the Finder Menu, tap on ‘Empty Trash’. You will see a popup window asking for confirmation about whether you want to delete the files permanently or not. Tap ‘Ok’ and get the trash vanish. 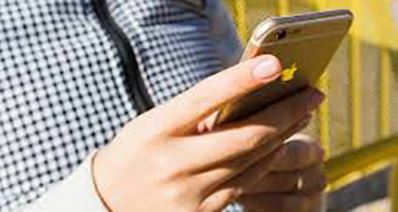 When your iPhone encounters iPhone error 53, there are chances that the security software on your PC may be responsible for it. Either multiple security software on your device or an older version of software, or software that prevents iTunes from updating might be the cause. Ensure that an authorized program of the latest version is installed in your system. Open the security software on your computer. Check if it’s updated or not. If not then update it. It is not a herculean task to avoid error 53 in iTunes. The above steps are quite helpful, but with some basic precautions you can avoid it. If you have replaced any parts of your iPhone with unauthorized ones, then don’t update iOS. Your Touch ID might sense the change and raise error 53. Always ensure to go with genuine Apple parts and stay happy!